Welcome George Morris Wood Turnings to the Crooked River Co-op - George makes wooden bowls, vases, pepper-mills and other incredible hand lathed works of art! 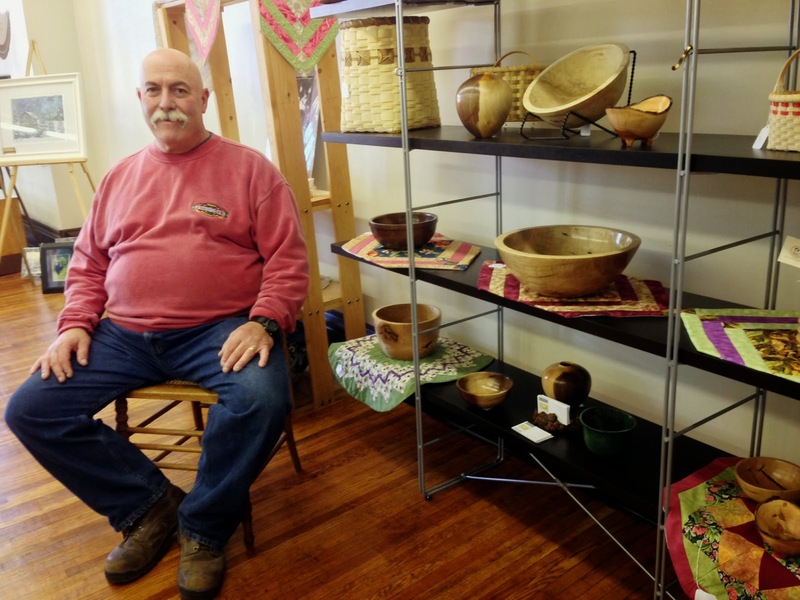 "I have been exploring the art of woodturning since 2004, working with a variety of forms, including natural and finished-edged bowls, lidded boxes, platters, hollow forms and ornaments. With many years of experience in the construction industry, wood and trees have taken on a whole new meaning and every turning session has it surprises. I enjoy working with new and different woods and waiting for the piece to "speak to me". I have studied with David Ellsworth and Michael Kehs and recently spent a week at The Arrowmont School of Arts and Crafts in Gatlinburg, TN, studying with John Jordan ad Mark Gardner.